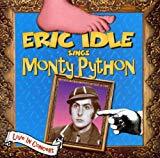 The sixth nicest member of the old Monty Python group, Eric Idle wrote and sang "Harry" as thanks to Harry Nilsson for recording "Bright Side of Life". Harry included Idle's "Harry" on Nilsson's Flash Harry album. Idle was born on March 29, 1943, then again a week later.